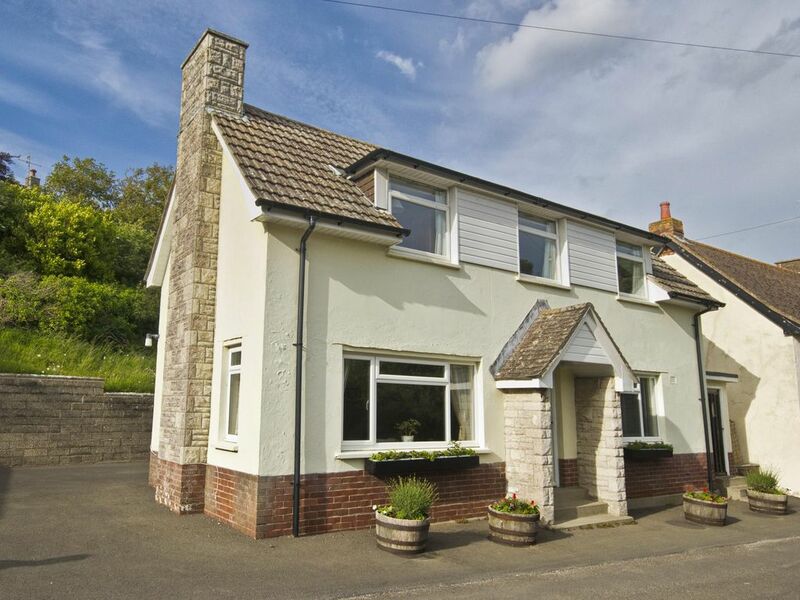 Santa Cruz is a 2 bedroom detached house on a lane off the Lulworth High Street. It is 200 metres from Shop and Pub. There is parking for 2/3 small cars to the side and rear. A pretty enclosed courtyard garden with seating surrounded with shrubs and flowers. Lulworth Cove is approximately 0.5 miles (10 minutes walk) that can be approached by a secluded path. leeps: 4 + 1 child in cot. Up to 2 dogs permitted. Not to be left in the cottage unattended at any time. No Smoking. Changeover day: Friday arrive 4pm - depart 11am.